When it comes to harvesting the vegetables from your garden, you don’t want to find out they’ve been destroyed by insects or pests. Luckily, it’s quite simple to kill any pests that may be damaging your crops. 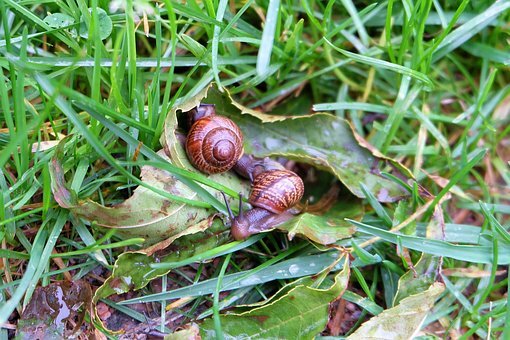 Both slugs and snails are commonly found in gardens, but unfortunately, these pests are notorious for damaging crops. Not only do they feed on crops, but they also only come out at night, making it tricky to kill them during the day. Slugs and snails also lay many eggs, which can lay dormant for several years before they hatch. If you’re struggling with a slug and snail infestation, try a beer bath. Simply place small vats of beer around your garden. Slugs and snails are drawn to the yeast in beer. However, once they try to drink this yeasty beverage, they will fall in and drown. Perhaps one of the most destructive insects, aphids love to drink the sap out of any plant in your vegetable garden. They even spread diseases. If you notice signs of an aphid outbreak, then you should make an organic insecticide out of dish soap. Simply mix a few tablespoons of organic dish soap with a quart of water. Add a couple drops of orange or lemon essential oil. Spray this concoction directly onto your plants, making sure to fully saturate the leaves. This dish soap insecticide is also effective at killing other vegetable garden pests, including mites, mealybugs, and whiteflies. The cabbage root fly is known for destroying vegetables by damaging the roots. These pests lay their eggs at the base of plants. When the eggs hatch, the maggots burrow deep down to the roots, where they feast. This can quickly kill your vegetable garden. If you notice damage to the roots of your crops or you find maggots on the roots, you can quickly remedy the situation by placing a cabbage collar around the base of your plants. This will prevent any newly hatched maggots from reaching the roots. Rodents, including mice, rabbits, moles, and squirrels, are always looking for their next meal. However, you don’t want them feeding on your vegetable garden. Spraying a mixture of soap, chili powder, and garlic onto your vegetables is one of the best ways to deter these pests. It even works to repel beetles, slugs, leafhoppers, and borers. This mixture will also keep your family pets out of your garden without harming them. It doesn’t take very much effort to keep your vegetable garden healthy and free of insects and other pests. Natural and organic products are often all that’s needed to deter or kill these unwanted visitors. Be proactive all year long to ensure your vegetable garden thrives and kill garden pests organically.